Music festivals can make you hot, hungry, and exhausted, so be ready with these cruelty-free essentials, from biodegradeable body glitter to vegan leather boots. Festival season is upon us, and whether you’re going to Coachella, Burning Man, Lollapalooza, Bonnaroo, or one of the plethora of other weekend-long music events across the US, there’s one key to having a good time: be prepared. From rocking some super cute (and comfortable) vegan leather booties to wearing and sharing all of the eco-friendly glitter, we’ve compiled the 14 must-have essentials for this festival season. Glitter, glitter, and more glitter! Music festival attendees practically leave a trail of the shimmery stuff behind them, but did you know that normal glitter can take up to 500 years to biodegrade and often ends up in the ocean? Well, no worries! Bio Glo is coming to the rescue with 100-percent biodegradable and cruelty-free glitter so you can shine on! Trust us: you’ll regret carrying around that backpack or bulky purse when you’re packed into a crowd of dancing people. Minimal, hands-free bags are the way to go, and this handcrafted vegan leather belt bag is so chic that it also serves as a fashionable addition to your look. Strap it around your waist or use it as a cross body bag to store your essentials for the day. If there’s one thing you don’t want to forget for a festival weekend, it’s sunscreen! Nothing is worse than suffering through a sunburn while trying to have a good time. So shake up this coconut probiotic-infused, glowy bronzing sunscreen spray and apply liberally. We love that it’s a mineral sunscreen that is free from environmentally damaging ingredients. It may be oh-so-tempting to opt for a strappy pair of sandals or gorgeous heels to complete your festival look, but many of these festivals take place in dusty, hot, and dry places and open-toed shoes + crowds = no thanks. 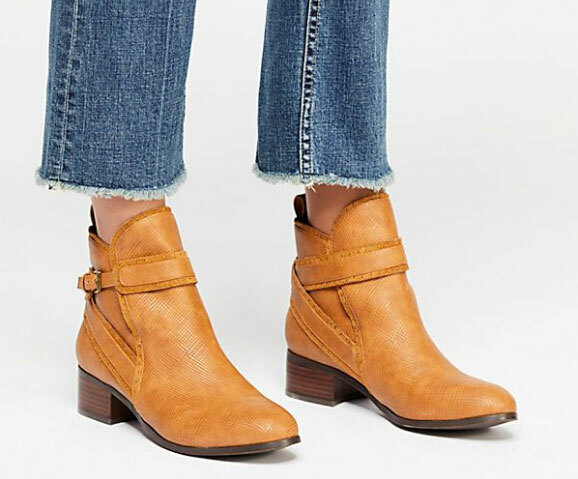 Instead, rock these trendy vegan leather booties that come with a super comfy padded insole and mini heel. Your feet will thank you! On the same note concerning dust and heat: bandanas are a must-have! Wrap this cute, avocado-printed accessory around your neck so that you can protect your face when dust storms kick up, or you can soak it in some cold water to keep your neck cool under the sun. Some other bandanas are made from silk, so this synthetic fruit-printed one is the perfect veg addition to your weekend. Since festivals are a full-day experience (often lasting long into the night), you’ll want to keep your makeup and glitter locked in place. No smudging eyeshadow or trails of glitter here! This binding primer is ideal for oily eyelids and humid climates and will keep your look in place through hours of dancing and walking in the heat. Weekend long festivals mean you have to keep your hygiene routine as simple and quick as possible. Chances are, you won’t be staying in an upscale hotel or trendy Airbnb, so you may have limited access to showers. That’s where dry shampoo comes in as an absolute lifesaver. This super affordable, rosehip- and patchouli-scented spray is meant to keep your locks looking flowy and hydrated for days. Exposing your skin to the elements for days on end can take a toll, so you’ll want to make sure to keep your skin hydrated with a refreshing facial mist. This antioxidant-rich, seaweed-based skin quencher is literally made for harsh climates and can be used over makeup to help refresh it or set it in place. It’s no secret that the bathroom situation at large events is less than desirable. And when you’re surrounded by tons of people, plus eating greasy food throughout the day, you’ll want to keep your hands as clean as possible. We love how eco-friendly Dr. Bronner’s is, and this refreshing, peppermint-scented sanitizing spray is made from just four simple ingredients so you can feel good about what you’re putting on your skin. Even your lips need protection from the harsh sun’s UVA and UVB rays (yes, lips can get sunburnt!). This mineral-based, protective balm has a fresh tangerine-chamomile scent and glides on super smooth and clear so you can wear it over or under your lip color. Plus, superfood oils keep your pouts moisturized and hydrated for hours on end. Make a statement while keeping your face shaded from the sun with this wide-brimmed, 100-percent cotton bucket hat. Its woven nature will keep your head from getting sweaty and adds an extra level of protection that you’ll surely be grateful for when the heat soars above 90 degrees. Glitter isn’t just for skin! Pack on that shine with this luminous and hypnotizing spray made specifically for your locks. This fun spray is made to work for every hair type and gives you a shimmering look that will catch the strobing lights near the stage with every twist and turn so you can stand out in the crowd. Heat + dancing + crowds = sweat. No one wants to be surrounded by thousands of stinky, sweaty people all day long, so make sure you bring plenty of antiperspirant. We love this spray-on (stick deodorants will melt in the heat), rose-scented version that boasts protection all day long. It utilizes rose and ylang-ylang essential oils to get a fresh, clean, floral scent. Pack for your fun weekend away in style! Stuff your festival outfits (plus all of these other essentials) inside this beautiful, spacious, emerald green, vegan leather bag and you’ll be ready to head out the door! It’s sturdy nature and dual-strap situation make it a must for us. Sarah McLaughlin is the New Products Editor at VegNews who is always ready to put on some eco-friendly glitter and brave the crowds for live music.